One of the keys to success on any diet is keeping the food tasty, health and flavorful. 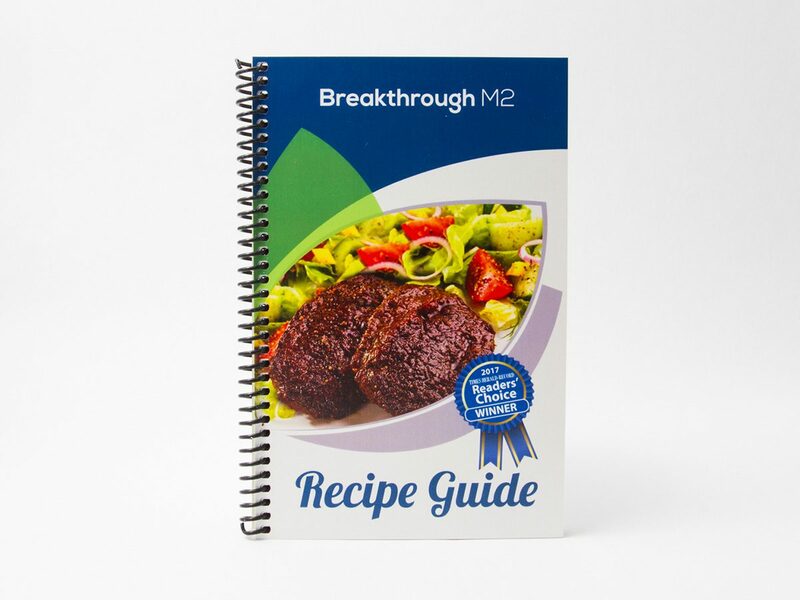 This is a wonderful collection of over 100 recipes designed for the Breakthrough M2® diet protocol. This recipe book can be used from Steps 2-4 and beyond. Nan’s favorites, marinades, sauces, fish, chicken, beef, fruits, vegetables, desserts and drink recipes are all included in this guide. Over 100 recipes that can be used throughout all steps of your diet. Recipes are designed to help you make delicious, flavorful, healthy food using all whole ingredients. NEW! Cover – same great guide for Step 2 low cal meals!